The Global Travel Group are based in Chester, UK - part of dnata, this makes them one of the largest independent UK travel chains out there. In 2018 they celebrated their 25th Anniversary and decided to do something a little bit special to celebrate. They held their conference in the spectacular Universal Studios Resort, Orlando, Florida! Event Photography would capture the conference for marketing and prosperity purposes. And who did they ask to join them... yes me! (what an honour and a privilege). 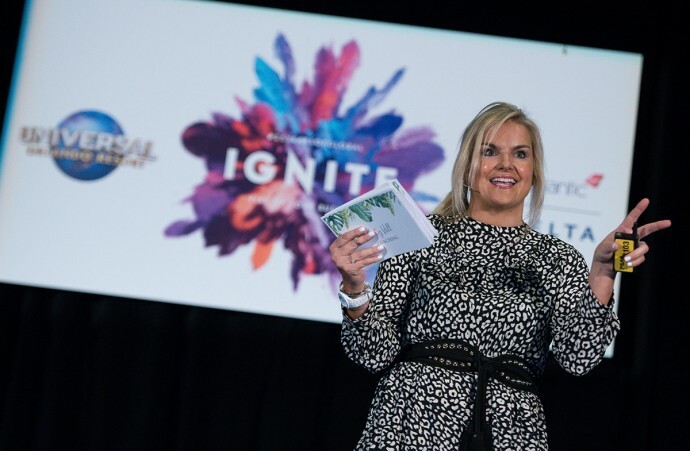 I absolutely love the whole team at Global – and their kindness comes from the top with Commercial Director Cherie Richards and MD Andy Stark, who are a pleasure to spend time with. This is my second year of working as an Event Photographer with Global. The first conference we just seemed to "hit it off" and they were really happy with the images I produced for them. I was secretly rather hoping I would be asked back... and I was! I was left thinking; which celebrities would I be photographing this year? Thanks go to Katie from Siren Communications (Global’s PR agency) who is equally lovely to work with and who recommended AG Studios to Global in the first instance. The job would require: event photography, post production and timely release of edited photographs to the client, all from Florida. How much photography equipment could I fit in my hand luggage? As always, when I undertake event photography abroad, it’s important to get the kit, including spares, ready and fitting into one carry on luggage sized bag. There’s no way my equipment is going to get thrown around in the aircraft hold and be fit for use afterwards! So, in one maximum sized hand luggage "Think Tank" bag was nestled: two Nikon D850 camera bodies, a 24-70mm lens, 70-200mm lens, a 14-24mm wide-angle lens, two flashguns, a MacBook Pro, hard drive, memory cards, chargers, US power adapter, phone charger and all the cables that go with the aforementioned. That lot weighed a hefty 23kg! Don't tell the airlines – as that’s way above hand luggage limits. I have to make sure that all the gear is with me and doesn’t leave my side, hence why I crammed it all into hand luggage. So, me, a photographer in St Albans, Herts was now on the other side of the pond after a seven hour flight from Heathrow, and I’m now checked in to my hotel. I met up with some familiar faces from last year and was fully briefed on the photography needed over a cool American Beer. The conference itself was really well organised. I have been a photographer at conferences in many places, but this seemed a little bit special. Would I have time to sample Universal Studios myself? Or would I be working pretty much all the time? Having seen the brief it looked pretty busy. My mornings started about 8 am and after all the delegate activities, I think my last shot of each night was around midnight, but of course it doesn't end there. I have to post process the images back in my hotel room as the UK press needed images on a pretty fast turnaround. Did I get to sleep much before 3am!? Answer… NO! I love working to deadlines, love being kept busy and more importantly I always remember that there must be thousands of local photographers in Florida that the client could have chosen, but it was me, a St Albans based photographer they had asked to go with them. A real compliment. My brief was to capture the atmosphere of the event for prosperity, get PR photography shots of travel agents with the Global team at key locations and to shoot exclusive front cover magazine shots for Travel Weekly and The Travel Gazette Magazines. The delegate activities during the conference were great. Ranging from leisure time in the Universal park resorts, theme park, conference sessions with guest speakers, speed networking, themed evening parties and a Gala evening with awards, prizes and games. More than enough opportunities for really stunning photographs. 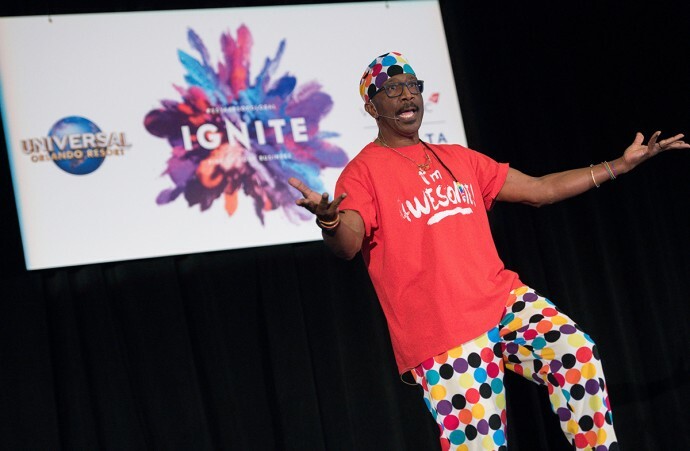 There were a great range of inspirational speakers on stage from Mr Motivator who got the whole audience on a workout, to the headline speech by the fabulous Erin Brockovich. What a great character. 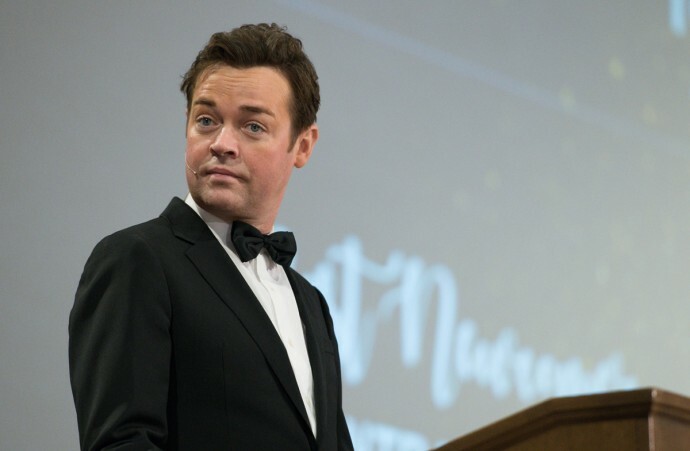 The Gala evening was presented by the very funny Stephen Mulhern. He had people trying to pop a balloon on their chairs to win a fantastic holiday of a lifetime. 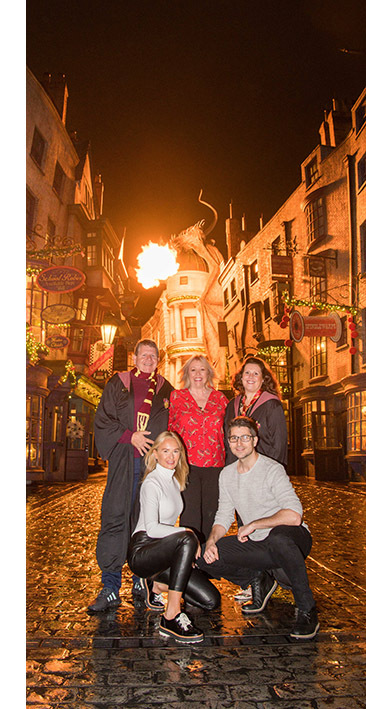 Cover photograph requirements ranged from The Transformers on stage with the Global team, to a very technically complicated shoot in the Wizarding World of Harry Potter with VIPs, which was at night time in Diagon Alley with the dragon breathing fire as a backdrop. Let me tell you, that was not easy! The dragon only breathes fire every 12 mins and to try and get the exposure spot on as well as making sure my group was set and all lit nicely with everyone smiling at that particular 2 second interval as the fire erupts from the dragons mouth was possibly one of the hardest shots ever. But after a few tests, we got it, and it was great! Having shot thousands of images over the 3 days and all processed and supplied to the relevant parties. I should have been exhausted, but I loved it, and the client loved the work! To say thanks they treated me to a few hours in the park with a fast track pass before it was time to depart for the airport. It was so much fun! Yes, I went on the Hulk ride, the Harry Potter ride (not a massive Potter fan it has to be said, but this ride was awesome), the Transformers ride and the infamous Rip Ride Rokit rollercoaster where you can select which music plays out from your headrest. What did I choose? I hear you ask… simple; Gloria Gaynor "I Will Survive”. At one point during my return from the park I managed to have a chat with Stephen Mulhern and Mr Motivator in the resort grounds, as we shared a boat ride together, it was very enjoyable. I got both of them to FaceTime my wife and kids – they loved that! What a privilege to do this job! The "international" conference and events photographer from St Albans in Hertfordshire returned home in one piece – and yes… upon my return, I did sleep. Very well! Andrew Bourn from Jack Pack is my 3rd cousin, it was lovely to see him again, let alone photograph them at an event.